A new Nokia device namely the Nokia 306 (RMN 768) which seems to be a full touchscreen running on Nokia’s Series40 OS has leaked over NokiaPort. The device appears in a user manual and might be the first full touchscreen S40 running device. Until now we have only seem touch and type devices running on the S40 platform but with the Nokia 306, it seems that Nokia really wants to change the way people know the S40 platform. 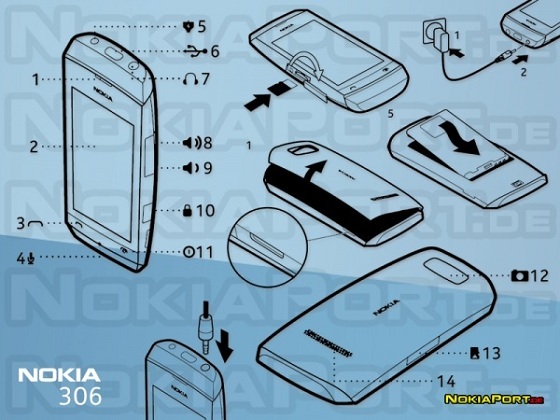 NokiaPort has also managed to get the specs of the device which go on to be as below. Also with the Nokia 306, three new unreleased devices have also appeared over Nokia’s European website which goes on to list the Nokia 605 which is said to be running on Symbian OS, and the other Nokia 305 and Nokia 311 are said to be arrive with the S40 OS onboard. 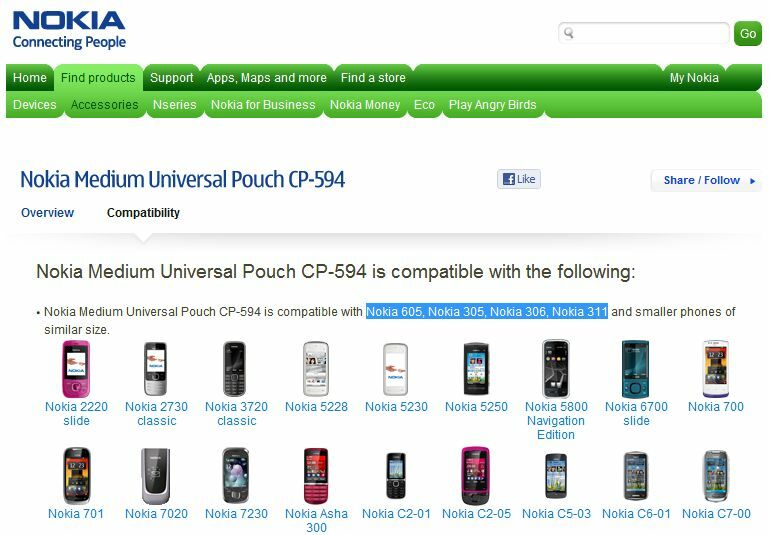 The devices have been found compatible with Nokia Universal Pouch CP-594. So a whole lot of mid-range upcoming devices from Nokia to target the another billion users.